Marcato got three nominees elected and forced longtime boss Sally Smith to quit – the activist’s original goal. That makes the other directors look oblivious to the omens before Friday’s vote. Other leaders of companies under pressure can expect dwindling board loyalty. A pedestrian walks past a Buffalo Wild Wings restaurant in New York, U.S., February 6, 2017. Buffalo Wild Wings Chief Executive Sally Smith said on June 2 she would retire by the end of the year after more than two decades in the role. Her announcement came after activist hedge fund Marcato Capital Management on the same day won enough shareholder votes to put three of its director nominees on the restaurant’s board. Marcato publicly launched its campaign in July 2016. 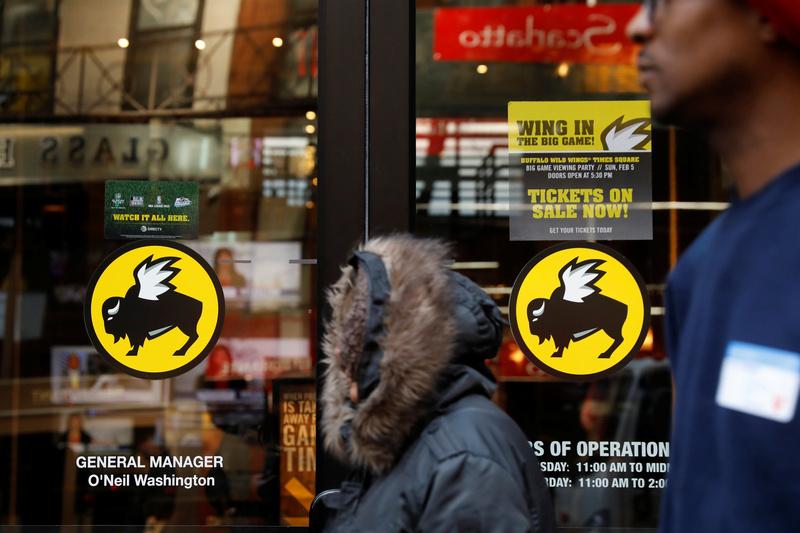 Buffalo Wild Wings said in April this year that it had turned down an offer by the fund to withdraw board nominees if the company replaced Smith as CEO. Marcato has pushed for Buffalo Wild Wings to franchise 90 percent of its more than 1,200 restaurants. Half the restaurants are currently franchised.